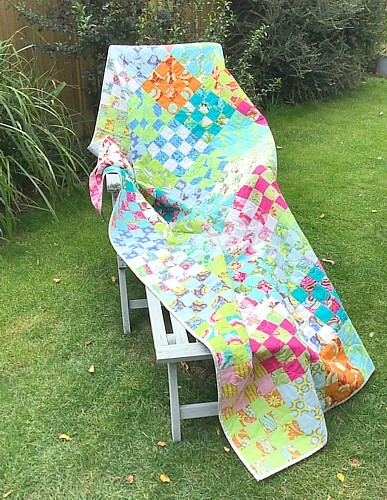 This is an old favourite quilt design made in modern fabrics - what's not to love! Endless possibilities to combine fabric styles & colours, make it scrappy or simple in only two colours. 2½yds (2.25m) of assorted Moda Grunge or solid fabrics.